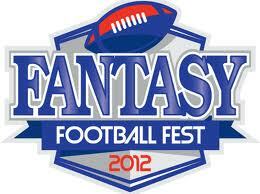 With Best Ball leagues you only focus on the best part of season long fantasy football - the draft. Each week, your top scoring players automatically start and will count toward your season total. The top teams with the most points at the end of the season win. No setting your lineup. ALMOST no free agency. No trades. What sets FFF apart from other Best Ball leagues is that you can make up to 5 transactions per year to replace IR and suspended players! BEST BALL DRAFTS FROM 9/12 - 9/15 - PLAYERS STATS WILL COUNT FOR WEEK 1!! YOUR LINEUP WILL BE OPTIMIZED TO INCLUDE YOUR BEST STARTING LINEUP FOR WEEK 1. BEST BALL DRAFTS WILL DRAFT AS LONG AS THERE IS A MINIMUM OF 8 TEAMS!